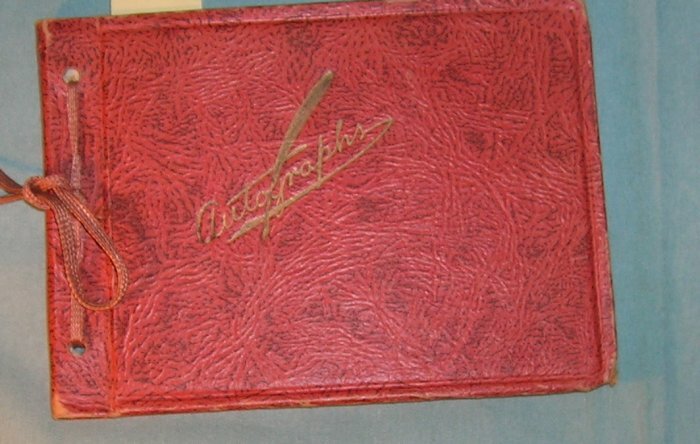 This is a vintage 1930s autograph book (6" x 4 1/2"). The cover is red and black textured leatherette, the pages in various pastel colors. The greetings to the original owner appear on about half of the pages and are dated 1936. The condition is good, with the expected slight wear due to handling on the cover. This would make a wonderful addition to an antique book or religious collection. SHIPPING COSTS as listed above is for the FIRST item purchased. There is no additional cost for other items purchased and shipped together. This APPLIES TO U.S. AND CANADA destinations ONLY. If a customer requests Priority Shipping, insurance or other extra postal services, the cost of that service is their responsibility.